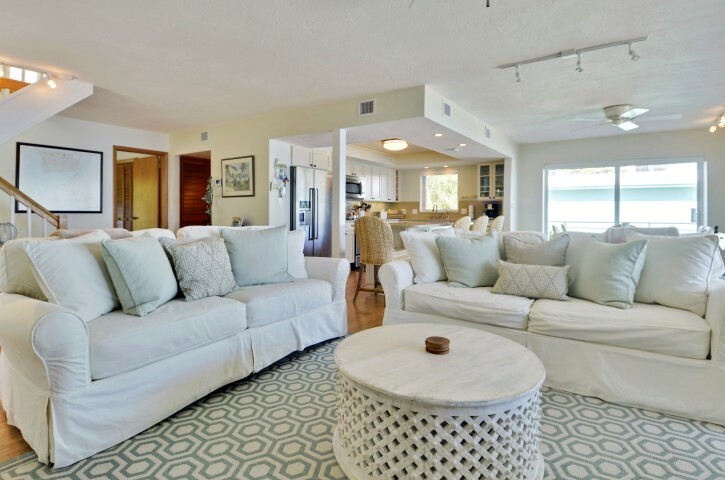 Minimum Rental: 28 Days "Gulfview Getaway" is a FABULOUS BEACH FRONT HOME! This is what you've been dreaming of - your very own single family home with a private sandy beach in the Keys. This home is new to the rental market. 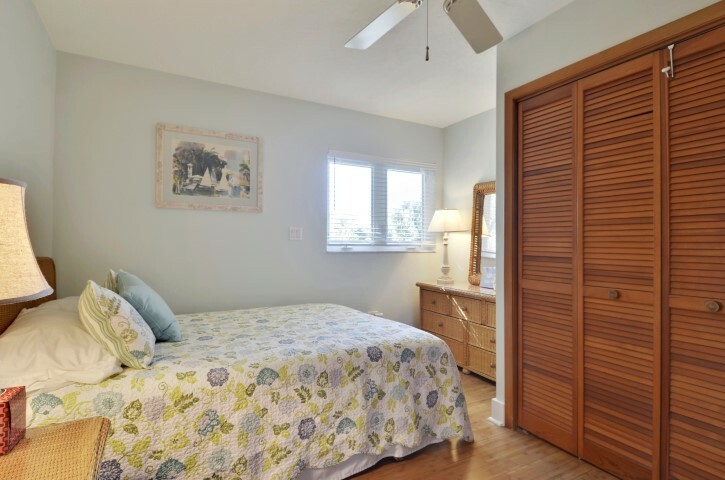 It is located in a highly desirable area of Islamorada on a dead end street. The owners have kept this home as their private refuge and are now willing to share it with you. Furnishings have been updated as have the kitchen and baths. You will find granite counters and stainless steel appliances in the kitchen and modern baths. This home is loaded with charm and the furnishings are comfortable and inviting. You will love your stay in this home! Read on….. Play sand volleyball or dock your boat in your front yard! Bring your water toys or rent locally - personal watercraft, sunfish, paddle board, kayak and launch them directly off the beach. 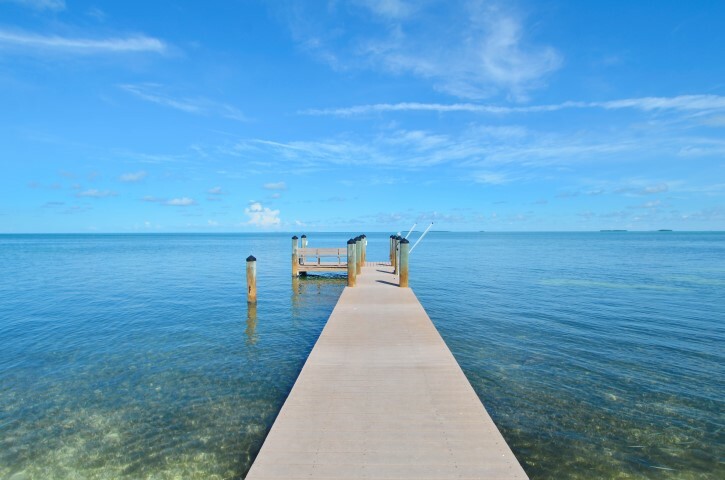 This property is conveniently located in Islamorada with great shopping, restaurants, fishing charters, and adventures nearby. Three bedrooms plus a bunk room comfortably accommodate 6 adults and several children. The main level is located on the 2nd floor and offers open concept living with a formal dining area, breakfast/snack bar, and living area. There's a covered balcony overlooking the beach, dock and open water. There are two bedrooms on this level each with a queen bed and a full bath. At the head of the stairs on the third floor there is an open area furnished with twin size bunk beds which accommodates up to 5 people. It is ideally suited for children. The master suite is separated from the bunk area by a door and offers a king bed with a wall of windows overlooking Florida Bay. Imagine waking up with a view of open water! Sliding glass doors lead to a private balcony. Enjoy morning coffee or quiet time on the balcony. This home is equipped with an elevator for easy access to all living levels. This property is professionally managed by Keys Holiday Rentals. Rate Details: Rent: $12,000/month. Monthly Rates are calculated from the 1st day of the month to the last day of the month. If your plans are for less than a month we may be able to help. Please call the office. Additional Charges: $360 departure cleaning fee; $200 processing fee, and 12.5% state and local taxes. Refundable Security Deposit: $1,000. Utility Caps/Mo: $100 water and $300 electricity. The owner pays up to this amount. If there is an overage, the amount will be deducted from the security deposit and a copy of the bill will be provided. Optional Insurances:Accidental Damage Insurance:$45 covers up to $3,000 of accidental damage during your stay.Travel Insurance:This is an optional service we offer through a national travel insurance provider. Plans include valuable medical coverage, trip interruption, emergency travel services and more. Please click on the Travel Insurance tab on our website for more information.